Facing the radiant Monterey Bay, anchored proudly between Pacific Grove’s downtown and famed Lovers Point beach, is the Pacific Grove Museum of Natural History. The historic museum was founded in 1883 to house specimens collected by the Chautauqua Literary and Scientific Circle in the days when horse-drawn carriages still meandered down a dirt road known today as Lighthouse Avenue. What started as a small octagonal building in what is now known as Jewell Park soon became a more impressive edifice, thanks largely to the help of community members like Mary Norton, the museum’s first curator, and Lucie Chase, who donated to the construction of a new building in 1932. Others, including noted collector and taxidermist Rollo Beck and scientist Ed Ricketts, friend of author and Pacific Grove resident John Steinbeck, donated amazing specimens that remain on display. Nestled under the pine-covered slopes of Bill Williams Mountain, the city of Williams is a beloved hamlet that attracts fans of history, Route 66 cars, and vintage steam engines, as well as Grand Canyon visitors and rodeo enthusiasts. Since its beginning in the late 1800s, the city has since played host to cowboys, ranchers, sawmill and rail workers along with their families and even an outlaw or two. Mountain men embraced the history of trapping and the city’s namesake when they formed the Bill Williams Mountain Men in the 1950s. Longtime residents and then Arizona governor Barry Goldwater continued that tradition with the creation of Monument Park in 1980, at which time they unveiled a 1,100-pound statue of Bill Williams and kicked off the first annual Rendezvous Days celebration, an event that continues to this day. Williams is a town that showcases the varied history and culture of the Southwest in a unique small-town setting that charms both visitors and residents to this day. With the glamorous Grand Canyon as its backyard, Tusayan has a fascinating history. Dedicated just one year after the Grand Canyon National Park, the village of Tusayan had its humble beginnings in 1920 as a small sheep ranch operated by the Hull brothers. 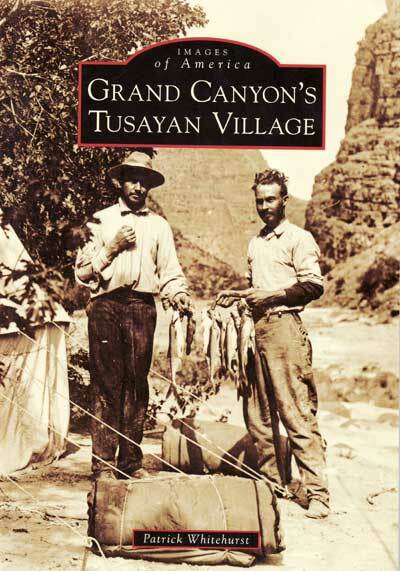 Tusayan quickly became a hub for the millions of travelers who made their way to the Grand Canyon each year. The two areas share a mutual school, a health care center, and other amenities. Other pioneers, such as R. P. Thurston, helped ensure the area’s longevity with the addition of Highway 64 through the center of the village and the arrival of the Grand Canyon Airport, making Tusayan one of the most visited little towns in northern Arizona. My interview with author John Lansing in the July issue of Suspense Magazine. Read it here!